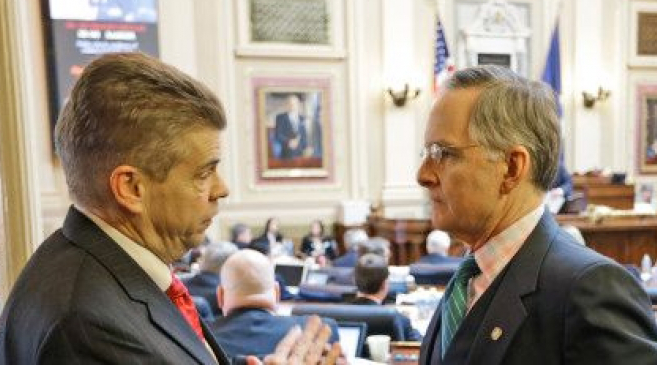 Written off as a political dead man walking just eight days ago, Virginia House Speaker Kirk Cox could very well be Virginia’s next Governor. At the very least, the Virginia Democrat debacle, still unfolding as of this writing, has insured Cox will likely remain Speaker in 2020. After gaining the gavel by virtue of a bizarre coin toss in a tied House of Delegates election in 2017, Cox has built a significant war chest and assembled a first-rate political staff, including veteran operative Chief of Staff Matt Moran and former news reporter Parker Slaybaugh. Cox and his team have quietly and diligently built a field staff, and recruited top-tier candidates in swing district races. While their groundwork kept Cox’s gavel in play, it was the shocking third-term anything goes abortion bill, dubbed the “Repeal Act,” that started the firestorm in Virginia after a two-election blue wave put the state’s GOP on the verge of extinction. The double whammy of seeing Del. Kathy Tram’s (D) bill come to life in a committee hearing and then listening to embattled Gov. Ralph Northam (D) so matter of fact defend it like he was ordering up a three topping pizza at the local fast food joint stunned many Virginians. Some Virginia voters who were caught up in the anti-Trump bias and voted for Democrats instead were aghast, and couldn’t believe what they saw unfolding before their eyes. It became a wake-up call of a bridge too far. The front page of the New York Post says it all (depicted below). The once proud Commonwealth is now the nation’s laughing stock. This series of events is the classic definition of buyers’ remorse. This has so boomeranged that Cox, along with Senate Majority Leader Tommy Norment, see the opening they needed to gain momentum going into the November elections, where both chambers are up for grabs, with Republicans holding one seat majorities in both. The Republican Party of Virginia is nothing more than a sign on a door, an answering machine and a postal permit. They can’t capitalize on this Democrat Party melt-down. But the Cox and Norment operations can. And they will. Heading up Norment’s Senate team is Jeff Ryer, a grizzled and savvy longtime GOP political operative who keeps a low profile — and wins races. Ryer uses the title “Spokesperson for the Majority Leader” –but he runs the VA Republican Senate majority machine and is the defacto head of the political shop. Now Ryer has to figure out how to respond to the crisis that just broke today over his boss’s VMI yearbook black face photos and racial slurs from 1968. So fasten your seat belts. The events of the last week has now put Virginia back in play for 2020. Trump can win Virginia. We are live on Friday, February 8 from Speaker Kirk Cox’s Conference Room in the Virginia General Assembly. Its open mic. Let the sparks fly.